The elegant and modern Strelitzia Hall is a 150-seater conference facility, suitable for both social and corporate functions. It is situated close to the main entrance within its own shady garden. It has a wide veranda for the option of outside seating. 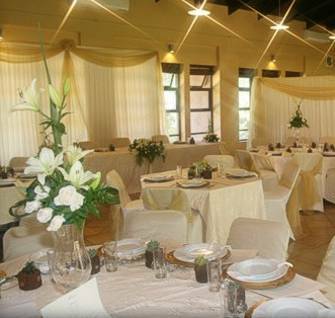 The venue is popular for weddings and comes with beige plastic chairs and 8 round seater tables. Strelitzia Hall is a self-catering facility with a spacious kitchen, which includes a stove and fridge. It is one of only two places in the Garden where braaing is permitted within a designated area. The other is the Lapa which can be hired as well.